A cold snap has hit St. Louis and frankly I don’t like it. One way I like to warm up is with a rich, rib sticking, hot saucy dish. 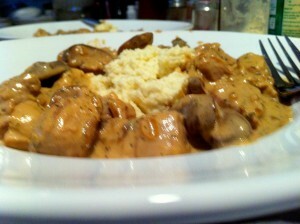 Lat night I through together a quick stroganoff. Traditionally, Beef Stroganoff is made with filet mignon, a pricey cut of meet that at my local market hovers around $22 a pound. I’ve found that you can create a beautiful stroganoff on a budget, using cheaper cuts of meat or poultry like the stroganoff I made last night with pork tenderloin instead of filet. In the past I’ve also made this with turkey brest tenderloins as well. The key is to cook the meat through or to your desired wellness and remove it from the pan immediately, only putting it back in the sauce at the end to warm it through before serving so as to not let the meat get overcooked and tough. I served this Pork Tenderloin Stroganoff with cauliflower mash, but it would be equally good with cauliflower rice or even zucchini noodles. Try it different ways and see which way you like it best. Whichever way, or with whatever cut of meat or poultry you use, this will easily become one of your favorite quick winter time meals. 1 lb. 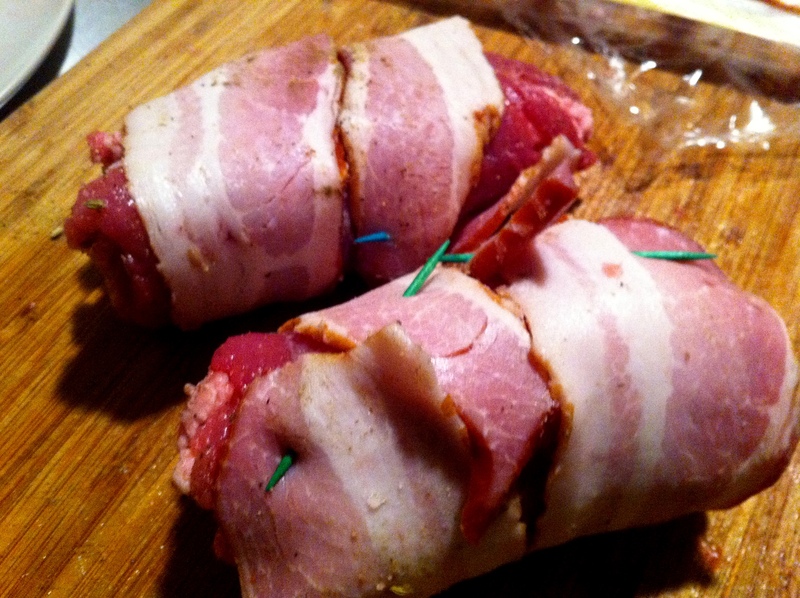 Filet Mignon, Pork Tenderloin, or Turkey Tenderloin, cut int 3/4″ cubes. Season the beef, pork or turkey with salt and pepper. Then saute the pork, beef or turkey cubes in 1 tbls. butter until well browned and cooked through to your desired wellness (for pork and beef I like it to be medium rare as it will continue to cook when you remove it from the pan and somewhat more when you return it to the sauce.) Remove the meat from the pan and set aside. Add the remaining butter to the hot pan along with the chopped onions and mushrooms. Brown the onions and mushrooms for about 15-20 minutes. In the meantime whisk together the cream, sour cream, Dijon mustard, beef stock or consomme, and Worcestershire sauce in a medium bowl. When the onions and mushrooms are caramelized, add the sour cream mixture to the pan, lower the heat and simmer until the sauce thickens. Be sure to not allow the sauce to boil. When the sauce is thickened add the beef, pork or turkey to the sauce along with the dill and tarragon, and salt and pepper to taste, stir to incorporate and allow the meat to warm through. Serve immediately with cauliflower mash, cauliflower rice or zucchini noodles and enjoy. Living the primal lifestyle can be somewhat daunting at times. It can be difficult to prepare primally appropriate meals quickly and conveniently. 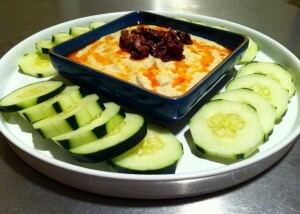 I am always looking for quick, healthy and delicious dishes. While I would typically prefer to buy fresh spices and make my own spice mixtures, sometimes it just is faster and easier to buy and use commercially prepared spice mixtures that can cut your preparation time down significantly. One cuisine that can incorporate upwards of 20 spices to make a particular dish is Indian cuisine. I love Indian food but don’t always have the time it takes to make the spice mixtures. Indian food is rich, aromatic and just darn comforting. Curries, Tikkas, and Garams are some of the spice mixtures that can be time consuming to make, but are available commercially made and are also very good. I’m lucky to live very near several international food markets as well as a Penzy’s spice shop. If you don’t have an international market near you you can go online and buy many of these spice mixtures. Penzy’s is one of my favorites. 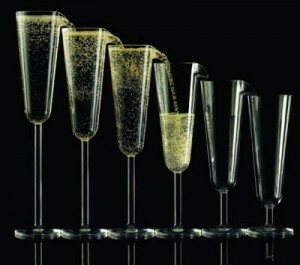 There stores are amazing, but they also offer their products online and through catalogue. Anyway, I was craving the deep and intense flavors of Indian Food the other day and I created this delicious recipe for Garam Masala Shrimp and Zucchini. I served it with cauliflower rice that I cooked in olive oil infused with fennel seed, cinnamon, ginger, and coriander. 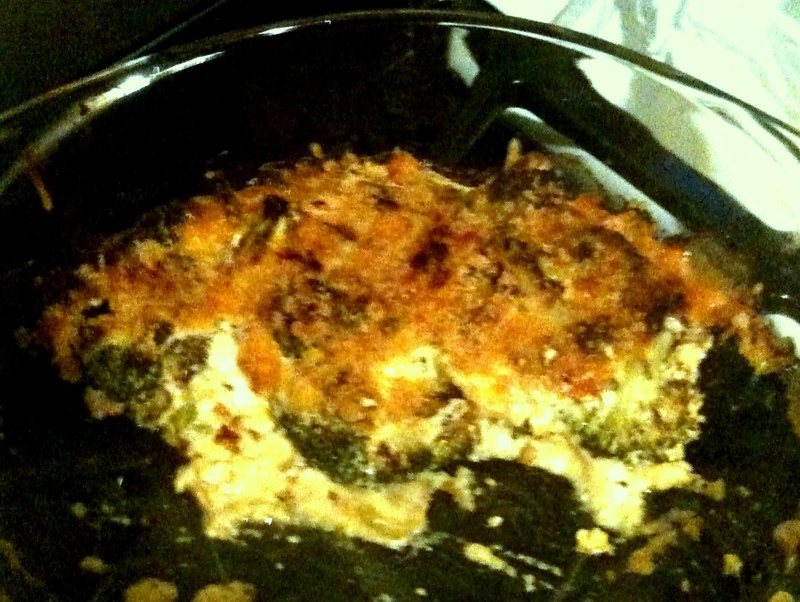 It was fast, easy, delicious and comforting as well. Garam Masala is one of those Indian spice mixtures that contains many different spices and may just be easier to buy already prepared rather than making it yourself. If you are courageous enough to make your own, here’s a link to a recipe for Garam Masala. Otherwise, go to your local international market and pick-up some that is already made. You will be amazed at how quick this dish is to make if the spices are already prepared and ready to go. The composition of garam masala differs regionally, with wide variety across India. Some common ingredients are black & white peppercorns, cloves, malabar leaves (pippali), black cumin (shahi jeera), cumin seeds, cinnamon, black, brown and green cardamom, nutmeg, star anise and coriander seeds. Varying combinations of these and other spices are used in regional variants of garam masala, none of which is considered more authentic than another. The commerical mixtures can vary as well, but, all of them typically use similar ingredients and have incredible aromas and pungent flavors. In addition to the above mentioned components, the commercial versions may also contain garlic, chili peppers, fennel, ginger, mustard seeds and turmeric. No matter the spice mixture, they all contain some very healthy spices. I have previously praised ginger for its anti-inflammatory benefits, but many of the other spices in this traditional Indian mixture are equally notable for their health benefits. Turmeric, for example, has been used for centuries by the Chinese and Indians and is touted as a powerful anti-inflammatory. Recent studies have also shown promise in it preventing and blocking the growth of certain cancers. Cardamom has also been touted for its powerful detoxifying benefits, and as a powerful aphrodisiac (who can complain about that). 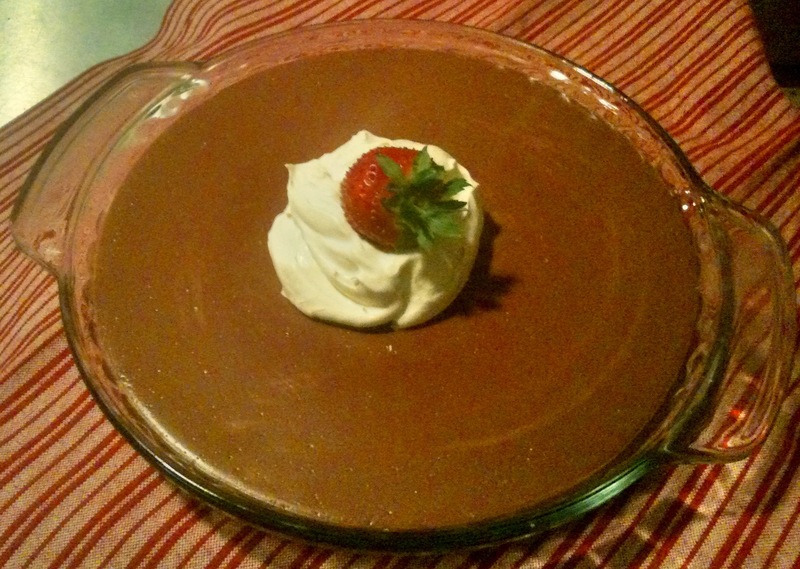 Try this deleicious, easy and quick dish. I’m sure you will love it. 1 tbls. Garam Masala Spice Mixture (or more if you like it really pungent). I used 2 because I really like these intense flavors. Begin by preparing the cauliflower rice. Grate the cauliflower using a hand grater or the grater attachment on your food processor. Heat the Olive Oil or Coconut oil over high heat in a non-stick skillet. Add the fennel, ginger, cinnamon, coriander and saffron or turmeric and cook for about a minute to release the flavors and oils of the spices. Add the grated cauliflower and salt to taste and saute for about 5 minutes, stirring often. Turn off the heat and cover to keep warm. 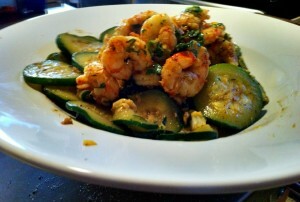 Next prepare the Garam Masala Shrimp and Zucchini. Begin by placing the sliced zucchini rounds and shrimp in a large bowl and toss with the Garam Masala spice mixture. Melt 2 tablespoons of butter in a large skillet over medium high heat. Remove the zucchini from the bowl and add to the skillet with the melted butter, season with salt and saute until just cooked through. Remove the zucchini to a bowl and cover with foil to keep warm. Add the remaining tablespoon of butter to the skillet. Add the shrimp and saute until just cooked through, about 2 minutes. Add the lemon or lime juice and fresh chopped cilantro to incorporate. To serve, place a mound of the aromatic cauliflower rice in the middle of a large bowl or dish, surround it by the sauteed zucchini and then mound the shrimp on top. Serve with extra slice of lemon and chopped cilantro as a garnish. As a variation you could easily substitute chicken, turkey, pork or other firm white fish for the shrimp. Just make sure to cook the protein for the appropriate amount of time and to your liking. I hope you enjoy this dish and let me know what you think! Once I find something I like I try different variations. 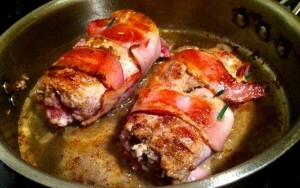 This is a variation of my recent recipe, Prosciutto and Sage Wrapped Chicken Thighs. Instead of thighs, I used chicken breast, and then stuffed the breasts with herbed goat cheese and spinach. The next time I make this I will include roasted red peppers in the stuffing but did not have any when I originally made this. I love the idea of wrapping things in prosciutto, it provides a great salty addition to the meat and helps to keep the stuffing inside the meat, especially cheese that tends to melt and ooze out. This dish is somewhat labor intensive, but well worth it. 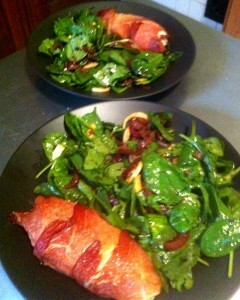 I served it along with a Spinach Salad smothered in hot bacon and caramelized red onion dressing. These combined together terrifically and made for a great fall meal. These dishes, served perhaps with another side dish would make for a great dinner party meal. I hope you try this and enjoy it as much as we did.! Preheat oven to 400º. Pat dry the chicken breasts and butterfly them by inserting a sharp knife about halfway through the chicken breast and cutting though the center of the breast. I then used a meat tenderizer and lightly pounded the butterflied chicken breasts so that it was uniform in thickness. Salt and pepper both sides of the breast and then place 1/4 of the spinach leaves and 1/4 of the goat cheese on 1/2 of the breast. Now fold over the other half. Repeat with the remaining chicken breasts. 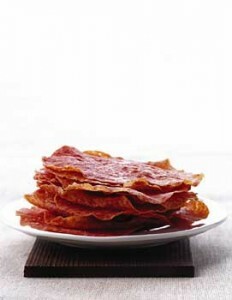 Next, take 3 thin slices of prosciutto and place them along side each other on your work surface, overlapping them slightly. Place one stuffed chicken breast at one end and carefully wrap the breast with the prosciutto slices. Brush the entire wrapped breast with olive oil and place seam side down in a baking dish. Repeat with remaining stuffed breasts and prosciutto. Bake in the oven for about 25-30 minutes, depending on the size of the breasts, and until just cooked through. While the stuffed chicken is roasting, prepare the Spinach Salad. Place the spinach in a large salad bowl along with the sliced hard boiled eggs and sliced mushrooms. Season with salt and freshly ground pepper. Place the bacon in a skillet and fry until done and the fat renders off. While the bacon is frying, slice the red onion thinly. Remove the cooked bacon and set aside. Add the thinly sliced onion to the hot bacon fat and cook the onions in the bacon fat until soft, about 5 minutes. When the onions have softened and caramelized, add the balsamic vinegar and honey and simmer for about 5 minutes and remove from the heat. Slice the cooked bacon and add to the spinach salad. Pour the hot balsamic and onion mixture over the salad and toss to coat. Divide the salad amongst 4 plates and serve with one Herbed Goat Cheese Stuffed Chicken Breast. While available all year long, the herb Sage is one of those flavors that just reminds me of fall. Its great with roasted meats, vegetables, and of course is a necessity in the kitchen around thanksgiving. 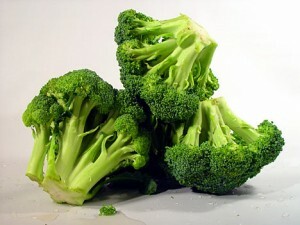 Of course, like most herbs, it also is said to have certain health benefits and healing properties. Modern research has shown that sage, while not a panacea, can help reduce excessive perspiration, digestive problems, sore throats, premenstrual cramps, and high blood sugar. Sage is also an active ingredient in some natural mouthwashes because its tannins are thought to help kill the bacteria that cause gingivitis. Sage has traditionally been used to treat canker sores, bleeding gums, sore throat, tonsillitis, and laryngitis. Recent laboratory studies support the use of sage to guard against infection-it has demonstrated an ability to fight against several infection-causing bacteria. Some herbalists and, in Germany physicians, recommend gargling hot sage to soothe pain from sore throat and tonsillitis. Sage has also been linked to improved brain function and has been found successful for treating patients with mild to moderate Alzheimer’s Disease. 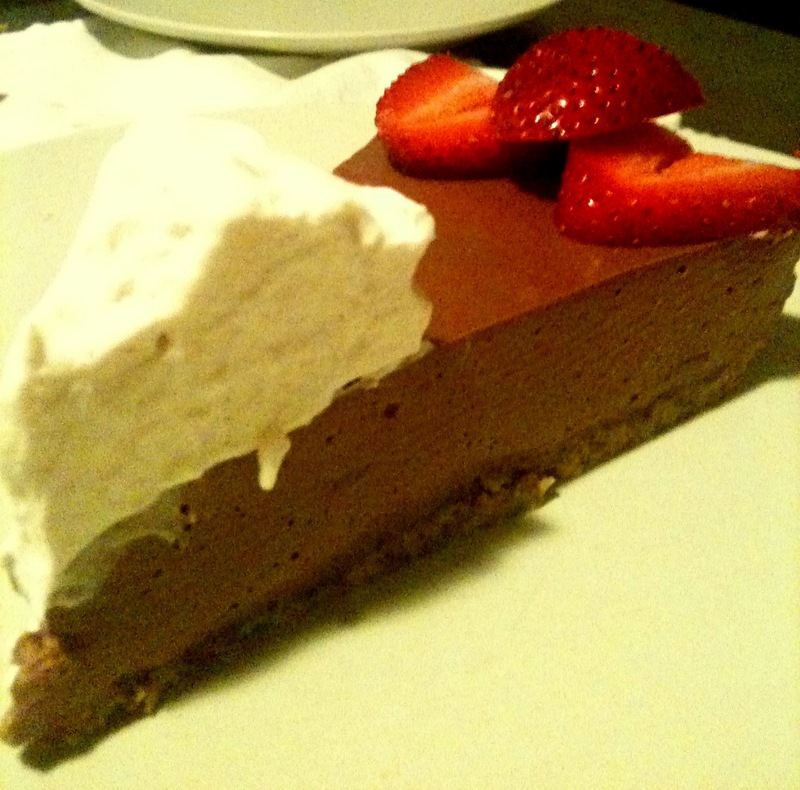 I say it just tastes good and I’ve created 2 new recipes that I will share with you. I served them together, but this may be sage overload for you. You can serve them together or separately, any way you choose, if you like sage, you will like these recipes a lot. Several Stems of fresh sage, leaves removed and stems discarded or saved for other use. To prepare the chicken, first preheat your oven to 425º. Place one thin slice of prosciutto on a work surface. Scatter torn pieces of the sage on top of the prosciutto. Season one boneless skinless chicken thigh with salt and pepper and place on one end. Roll the chicken thigh in the prosciutto so that the prosciutto overlaps and completely surrounds the chicken thigh. Brush the entire prosciutto wrapped chicken thigh with olive oil and place in a roasting pan or dish. 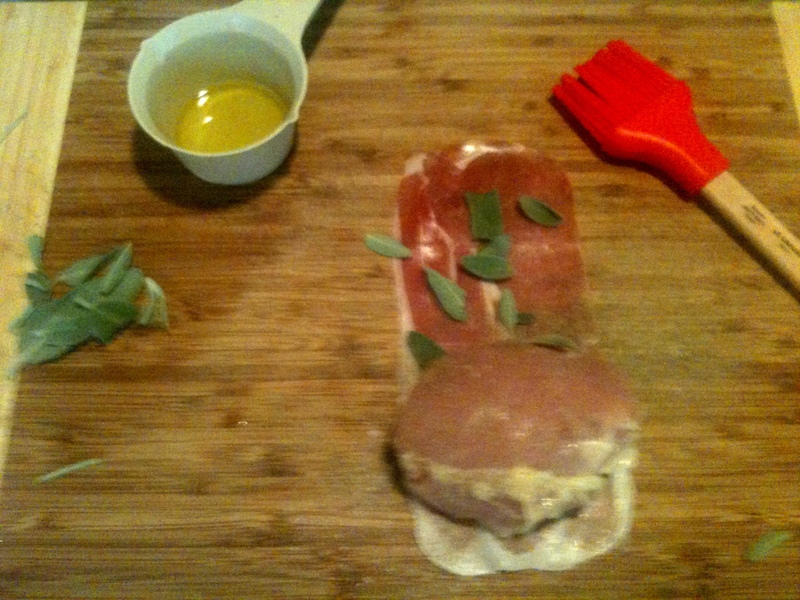 Repeat with the remaining chicken, prosciutto and sage. Bake the chicken in the preheated oven for 25 minutes or until the chicken thigh is cooked through. Remove from oven and serve immediately. You can spoon some of the pan juices over the chicken when serving if you desire. 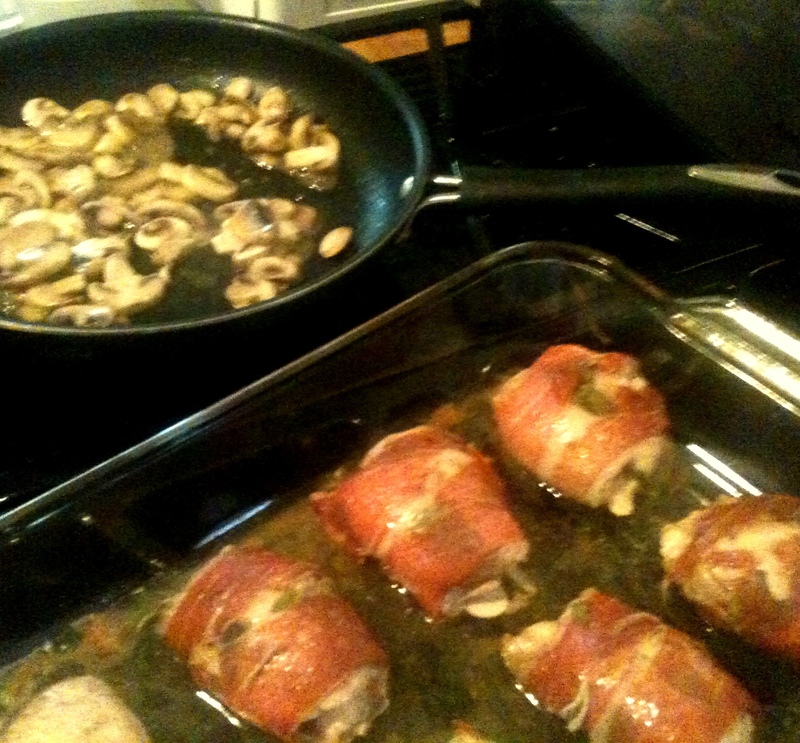 I placed the chicken thighs on a bed of sliced mushrooms sauted in a little butter and olive oil. I also served this with a side of Smothered Parmesan Green Beans that also incorporates sage. Here’s that recipe. To prepare the green beans, heat the butter and olive oil in a 12″ heavy skillet over medium heat. Add the shallots and garlic to the hot oil and butter mixture, salt and pepper to taste, and saute for about 5 minutes until shallots are golden. Add wine and boil until reduced by half. Add cream, water, 1/4 teasp. of salt, 1/8 teasp. pepper, and sage and bring to a boil. Add the green beans and simmer, tightly covered until beans are tender, about 15 minutes. Remove liquid and continue to simmer until liquid is thickened, about 5-10 more minutes. Add Parmesan cheese, stir to completely incorporate and serve with the Roasted Chicken Thighs or your favorite roasted chicken or meat. If you haven’t already figured it out, I love pizza (I considered it a major food group before going primal) and mexican food. I have tried many forms of pizza since going primal and liked them all, but this is one of my favorites. Part of the credit for the success of this recipe has to go to the Primal Matriarch who some time ago posted this recipe for primal cheez-its. I make this delicious crackers all the time. I do have to admit that when I make the crackers I have changed the cooking method a bit which I will explain later. I use a variation of the cheez-it recipe for this taco pizza. I like a thin crispy crust, and 90% of the time I am successful (sometimes the crust turns out a little softer than I like). Experiment yourself to see what works for you. I make the pizza and serve it with a garnish plate that includes fresh made pico de gallo, shredded lettuce and chopped olives and extra taco sauce that you can put on each piece as you eat it. YUMMY! I hope you enjoy it too. I first make the garnish plate. This can include just about anything you like on tacos. 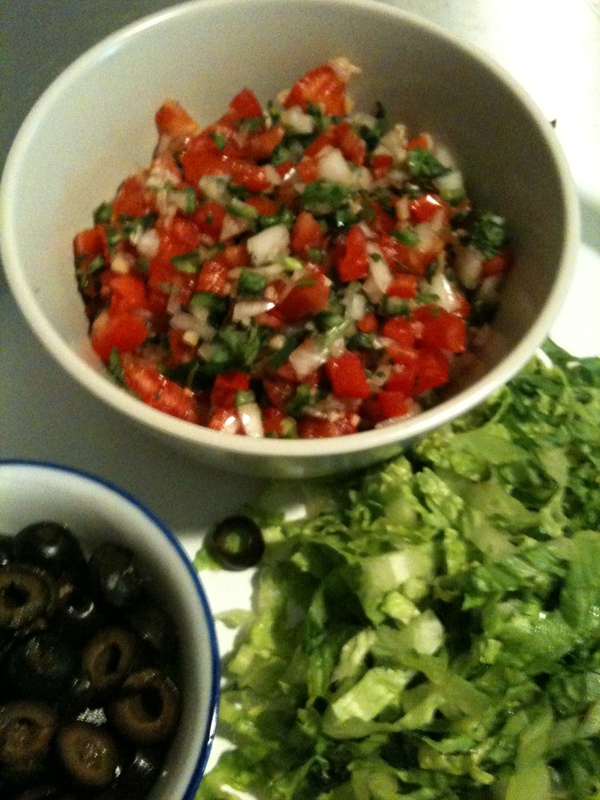 I make fresh pico de gallo, and include shredded lettuce and chopped black olives. Consider also serving fresh chopped onion, cabbage, sour cream and fresh diced jalapeno peppers for a little extra kick. My pico is really easy, I just finely dice a couple of fresh tomatoes (sometimes I use the already diced Rotel Tomatoes if the tomatoes in the market aren’t looking to good), 1/2 red onion, and a large, seeded, jalapeno pepper. I add salt & pepper, a healthy squeeze of fresh lime juice. I then add 2-3 tablespoons of cilantro. I like to make this first to allow the flavors to meld a bit before serving. I prepare the rest of my garnishes so that when the pizza is done, its all ready to go. 1-2 cups finely shredded sharp cheddar cheese. To prepare the cheezit-its you will need a large cookie sheet, 2 pieces of parchment paper the same size as your large cookie sheet and a rolling pin. Preheat the oven to 375º. Now, combine almond meal/flour, flax meal, salt and baking soda. Stir to combine completely. Add cheese and stir to combine again. In a separate bowl beat the eggs and oil together. Add to the dry mixture and stir to combine well. I mostly after a quick stir, use my hands to kind of kneed it all together. Take half of the mixture and place in a zip lock bag and store in the refrigerator. 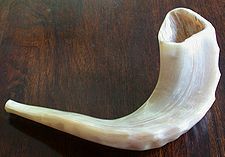 It will last for several days. Take the remaining mixture and place between 2 pieces of parchment paper. Roll out the mixture until its about 1/8″ thick and about the size of your cookie sheet. I like to trim the edges with a pizza cutter as the edges tend to be thinner and will burn. Remove the top layer of parchment paper and trim edges if necessary then place the rolled out dough and bottom parchment paper onto the cookie sheet and bake in the oven for about 15-20 minutes. keep an eye on it so that it does not burn. While the crust is baking, brown the chorizo in a skillet. Now combine taco sauce and tomato paste (I use the tomato paste to thicken the sauce so tht it is not to watery and thus won’t make the crust soggy while it bakes) and slice the yellow onion. When the crust is done, take it out of the oven and let it rest for a few minutes. It should crisp up a bit after it rests. When the crust is cooled I like to spray it with my olive oil sprayer to try and keep the sauce from soaking into the crust and making it soggy. I then spread the sauce over the crust, add the chorizo and onions and then spread the shredded cheddar cheeseon top. Place the pizza back in the oven and bake for about 10-15 miunutes until the cheeze is melted, bubbly and slightly browned. 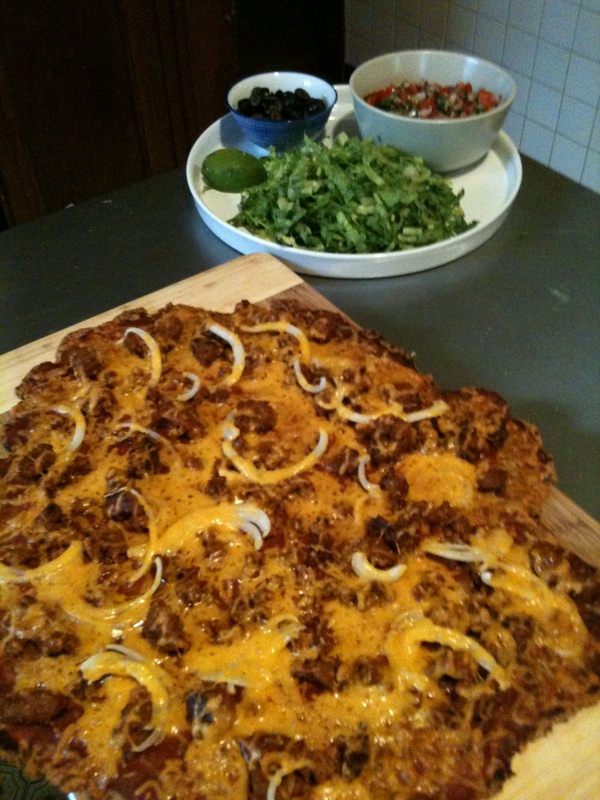 If you like it browner turn on the broiler for a few minutes – and Voila -Taco Pizza. slice and serve with garnish. *Note: when you use the remaining dough to make crackers – roll it out in the same way but before you put it in the oven use a pizza cutter or knife to pre-cut the crackers. When you take them out of the oven they will break apart nicely. I like to take them out after about 15 minutes, break them apart and then put them back in the oven to crisp them up more. I will typically lower the heat to about 325º when I do this. keep an eye on them so that they don’t burn. The crackers around the edge may not need to be put back in the oven. Only put the center pieces back in that still seem to be on the softer side.